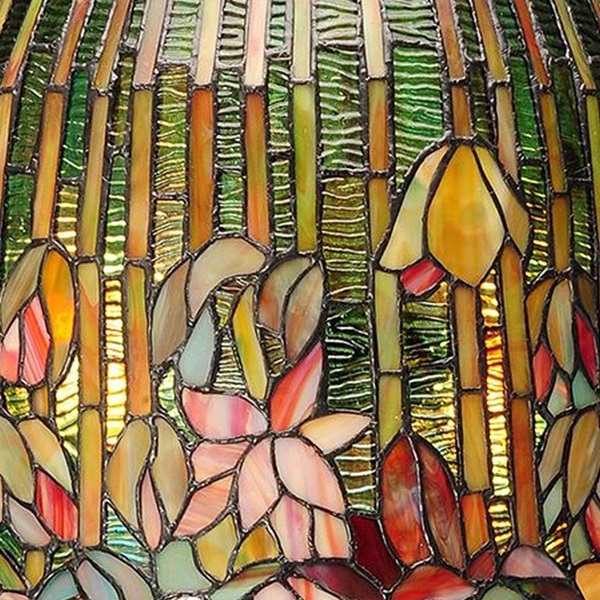 Inspired by the Tiffany classic, The Pond Lily. 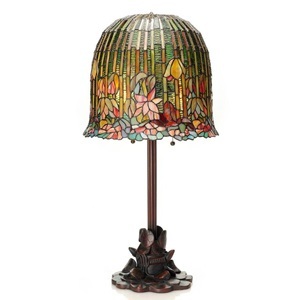 This lamp is absolutely majestic and will be an amazing addition to your home. 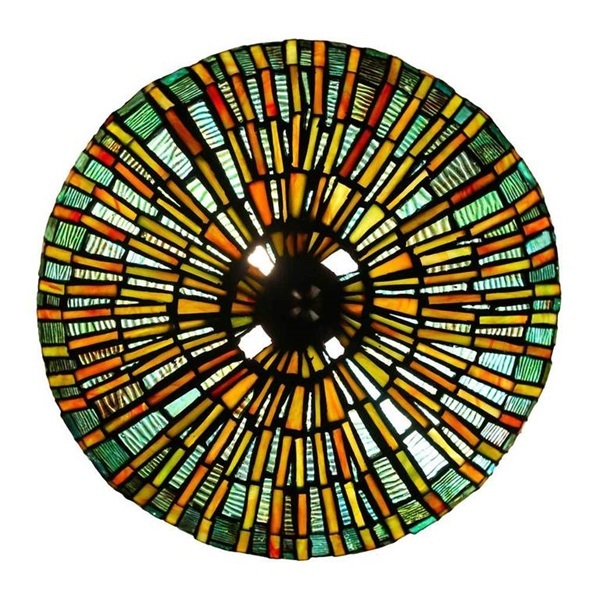 The shade is crafted with 1008 pieces of intricately hand cut glass and features a floral motif in bold shades of blue, green, amber and pink. 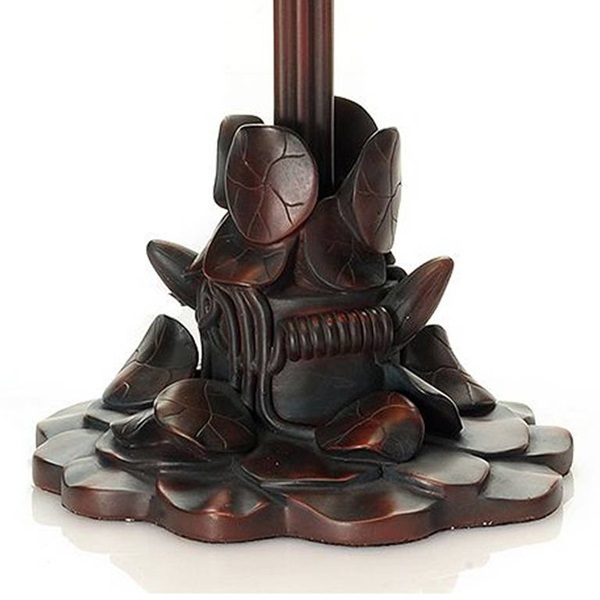 The bronze toned base has a intricate design of a lily pads, providing the finishing touch to this masterpiece.